Heavenly indeed! 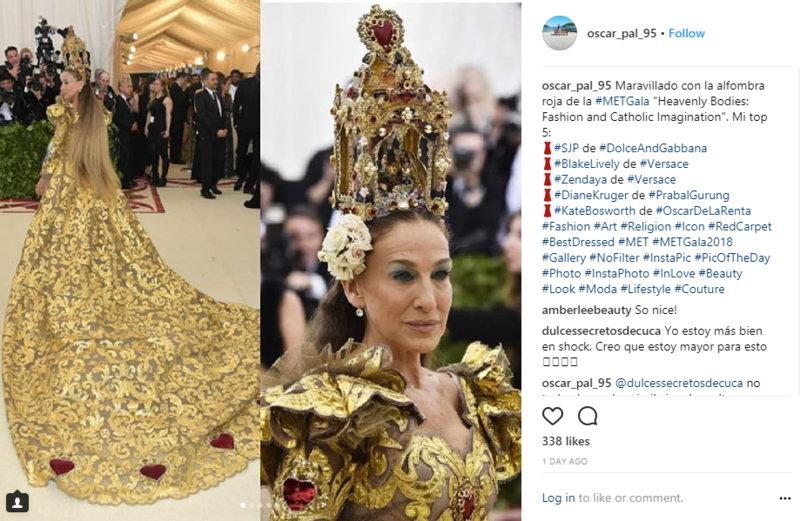 Fashion’s annual extravaganza, the 2018 Met Gala had the theme of ‘Heavenly Bodies: Fashion and the Catholic Imagination’ and as such saw such a display of extravagance that left us awestruck. 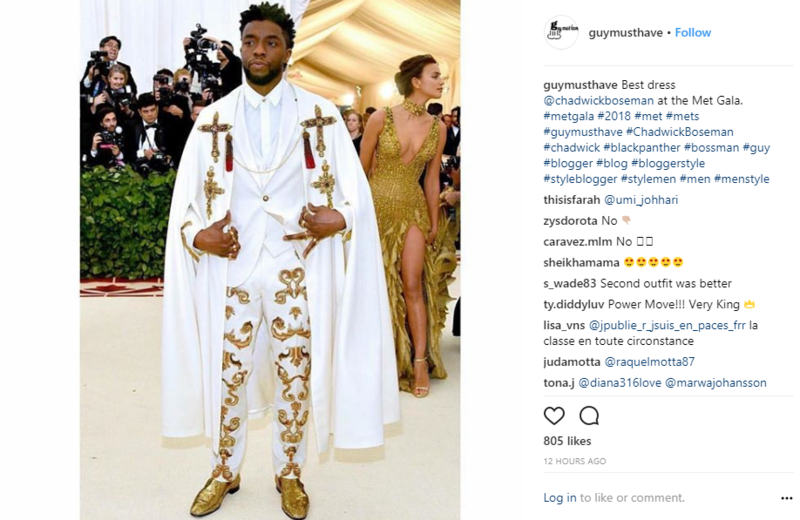 This year’s theme has received its fair share of criticism for religious appropriation and mocking symbols of Christianity with several celebrities including Wendell Rodricks and Piers Morgan expressing their disapproval. 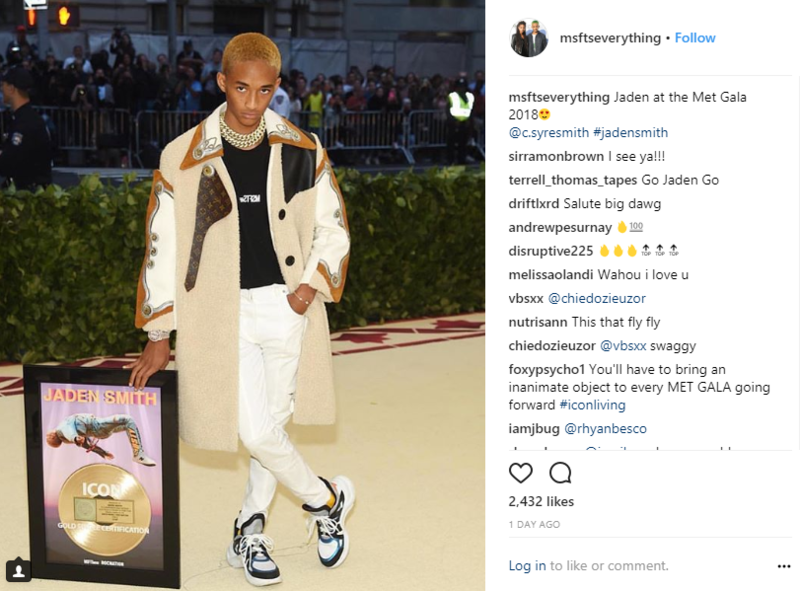 Fashion-wise, the focus was definitely on the intricate hand-worked details in beading and embroidery with celebs descending in elaborate creations on the beige carpet of the Metropolitan Museum of Art. Here are some of the best looks from the night. 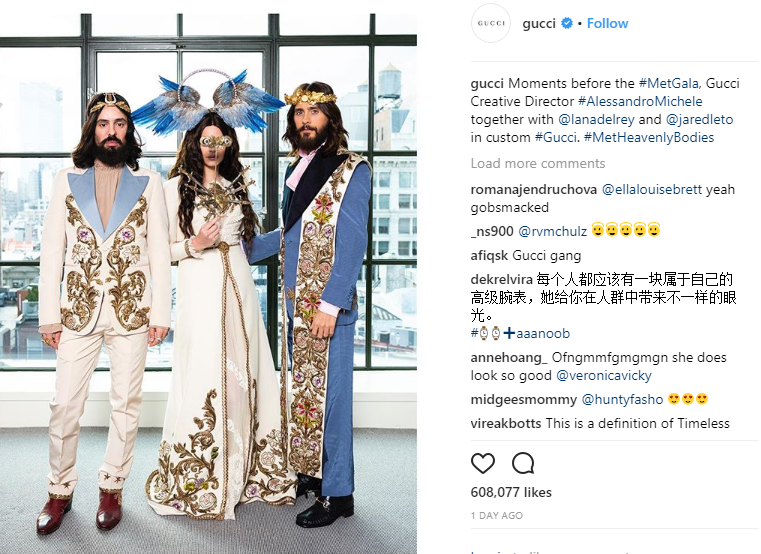 Alessandro Michele, together with Lana Del Rey and Jared Leto posed on the red carpet in custom Gucci, complete with elaborate headgear and eyepiece. 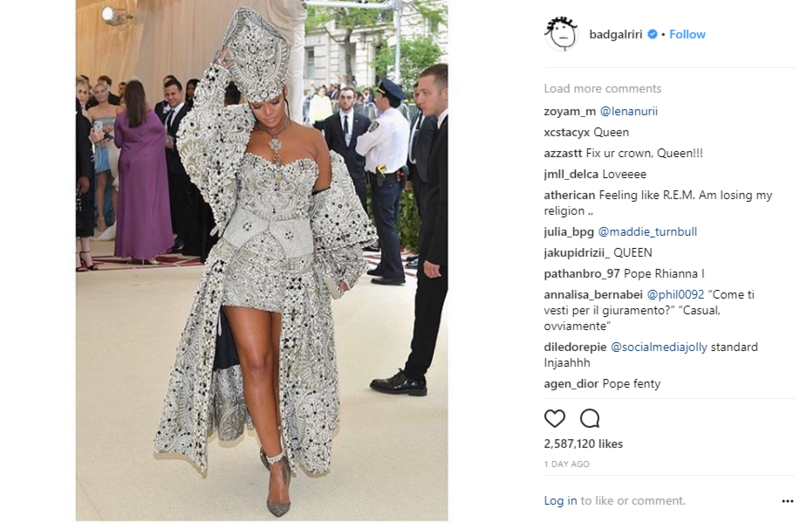 Rihanna’s look this year was perhaps the most loved with the Barbadian singer pulling off a papal inspired look from John Galliano for Maison Margiela. 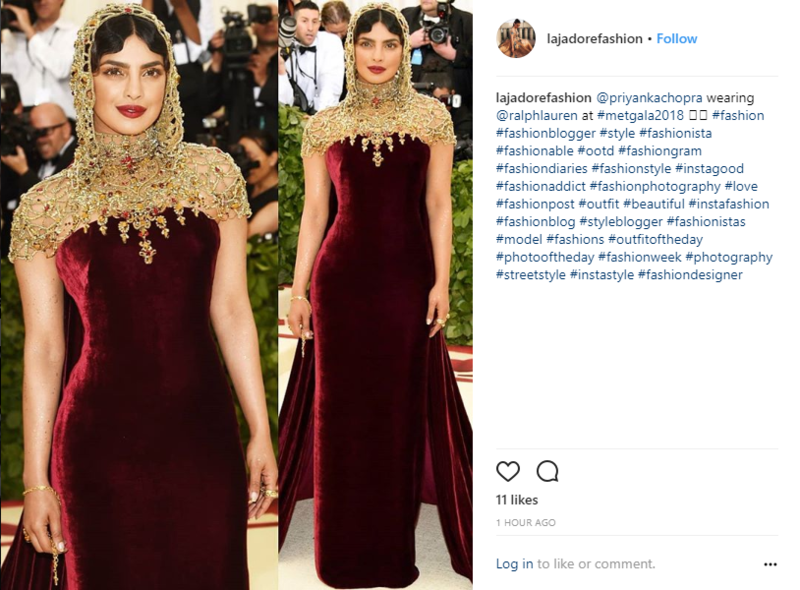 Priyanka Chopra looked ravishing in a rich velvet Ralph Lauren Custom Collection gown with a gorgeous hood. 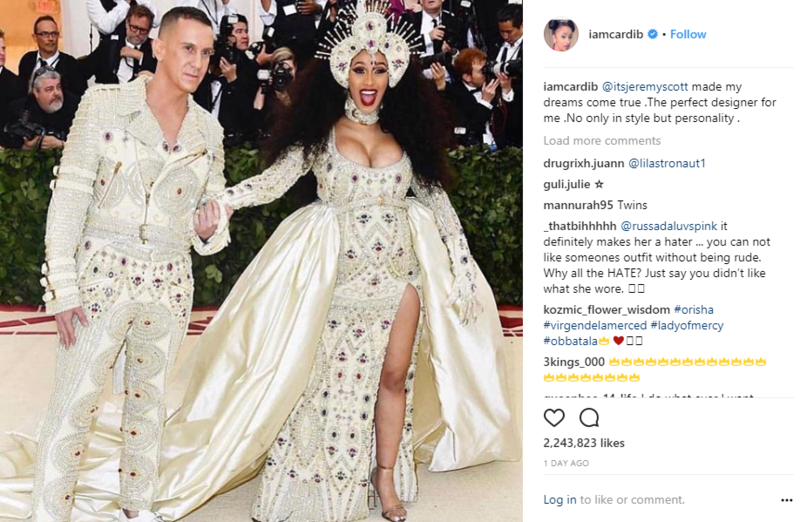 Cardi B was all the rage as paps couldn’t get enough of her bejewelled gown by Jeremy Scott for Moschino. 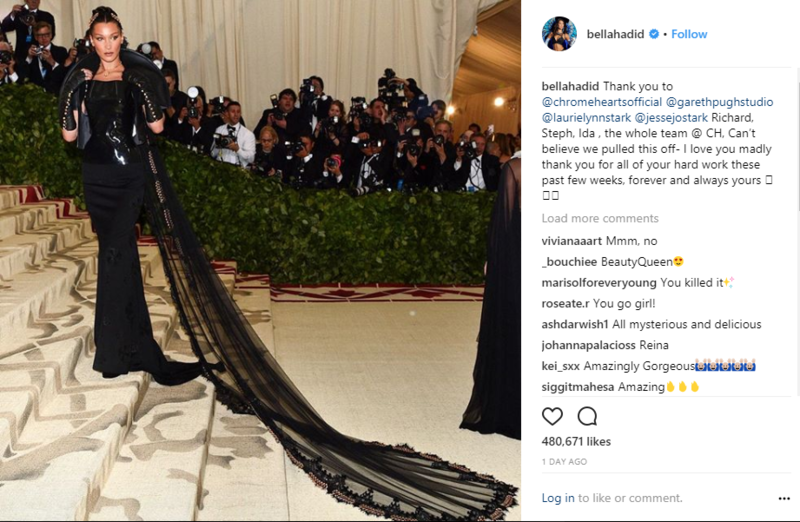 The Bodak Yellow chart topper stole the spotlight as soon as she appeared in the pristine gown which had been crafted over 4 weeks with a headpiece studded with rhinestones. Blake Lively looked regal in an Atelier Versace gown with intricate embroidery and a sweeping train. 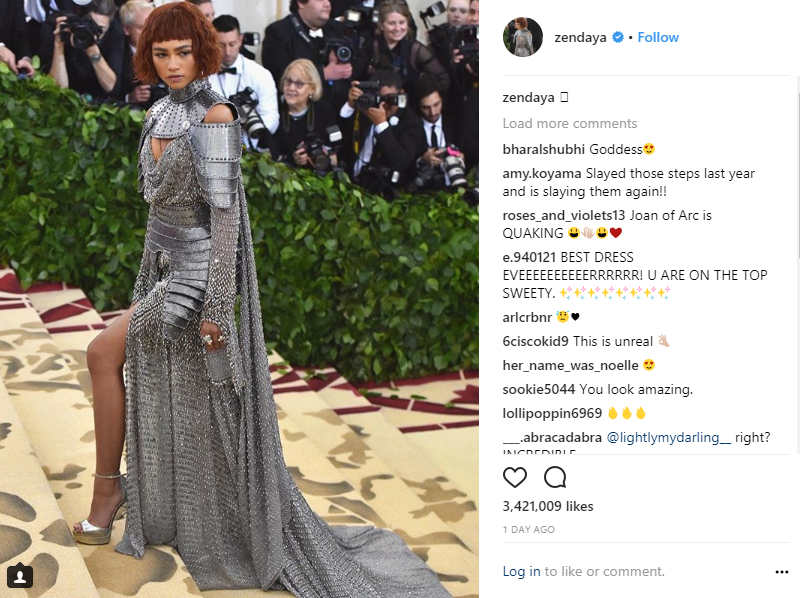 Zendaya wowed as usual in Versace in a look inspired by Joan of Arc. 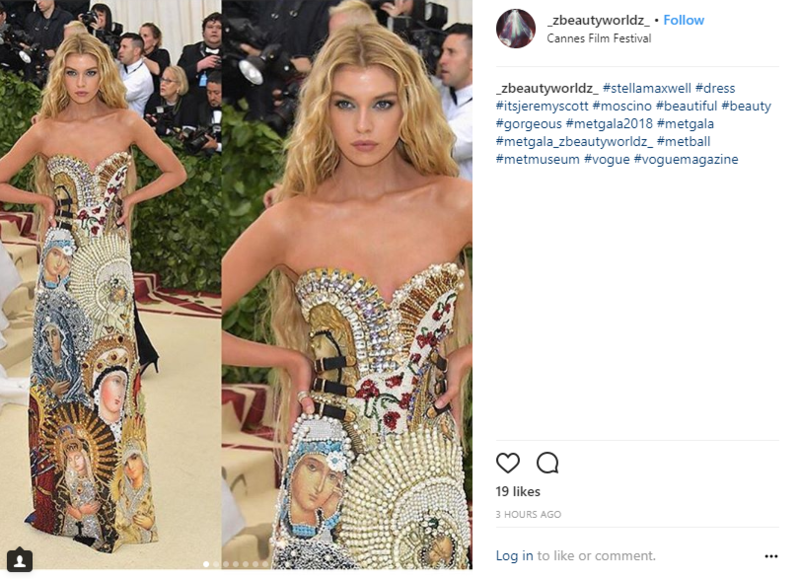 Stella Maxwell was a vision in a gown by Jeremy Scott for Moschino, wearing her hair really long, complementing the theme. Several stars opted to stick to the severity of black. 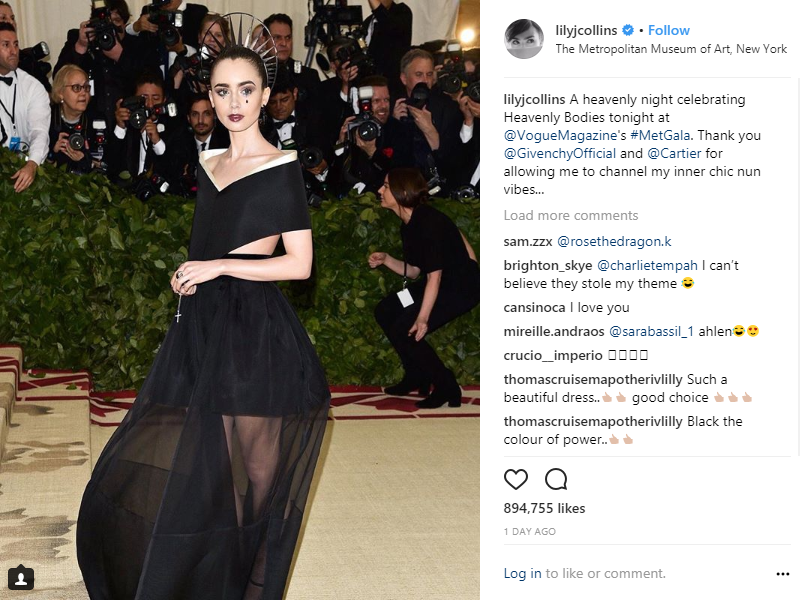 Lily Collins had an austere and apt look for the evening in a Givenchy gown with make-up details that absolutely killed it. Bella Hadid rocked a Chrome Hearts number which immediately brought to mind Gareth Pugh’s aesthetic in patent leather. 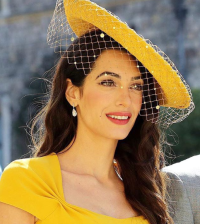 The outfit featured a veil embellished with metal trims that reportedly weighed 10 pounds! Among the gentlemen, Chadwick Boseman and Jared Smith put on their most fashionable foot forward, sticking perfectly to the theme. Sarah Jessica Parker had one of the most elaborate headgears of the night, decked in Dolce and Gabbana as her headpiece depicted the entire nativity scene. What did you think of these looks? Got any favourites? Deepika all set to take over Hollywood! Can’t keep calm because it’s #SonamKiShaadi! The journey to Akki Dokie quite literally started out in the car while waiting at a traffic signal in the sweltering Delhi heat. This was 2009. Akanksha – the mother ship of this blog – decided to amalgamate her love for fashion, social media and writing. Voila!! Akki Dokie was bought into the internet universe. Through Akki Dokie, we bring to you the latest trends, gossips, news, views and much more from the world of fashion. Told through interactive stories, scintillating events, entertaining interviews and easy ‘D –I – Y’, we unfurl the fashion flag on your screen. Who are we? We are a bunch of overzealous, tech savvy, social media loving, hip swinging, wine guzzling, and laugh inducing women (and few men) who swear by fashion. So take our word when we say, "If it’s in fashion, it’s on Akki Dokie!"